Take the Northgate exit (#173) and turn left (North) on 1st Avenue out to the light at Northgate Way. Turn right and go east 3 blocks to the light at Roosevelt Way NE. 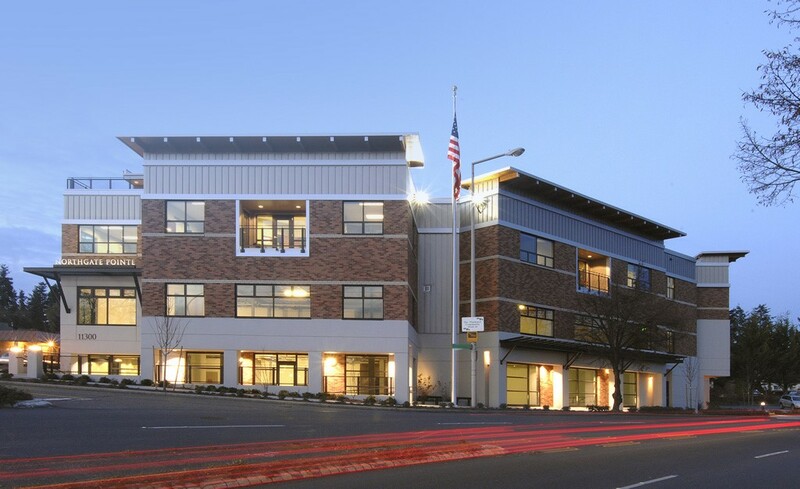 Turn left on Roosevelt and go 1 block to light; QFC on right and our building, Northgate Pointe will be directly in front of you; Stay left at the "Y" following Roosevelt Way NE and turn right into our parking garage or park in the lot just North. Take the 145th St. exit (#175) and cross over the freeway to the left. Turn right on 5th Ave. and go south (parallel to I-5) to the light at 130th St. Turn left onto 130th St. go about 3 blocks and then turn right at light onto Roosevelt Way NE. Go South 12 blocks to 11300 Roosevelt Way, N.E. Turn left into our parking garage after Century 21 sign or park in the lot just north of us across the street from The Great Dog Shoppe. Hwy 520 to I-5 or via Bothell-Lake City Way: at Lake City turn right on 125th St. and go west about 1 mile to Roosevelt Way NE. Ave. N.E. Turn left and proceed South for about 12 blocks to 11300 Roosevelt Way, N.E. Turn left into our parking garage just after Century 21 sign or park in the lot just north of us across the street from The Great Dog Shoppe.